Welcome to the Week In Film! No Steve this week, as he’s holding epic house parties in his gran’s flat in Marbella. No, really. Instead, Carole Petts takes you through the week’s news. First up, some very sad news that one of the truly great Bond henchmen has left us. 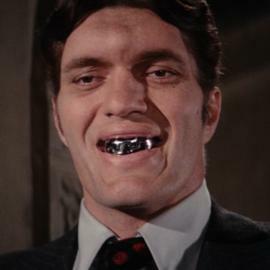 Richard Kiel, who played Jaws in The Spy Who Loved Me and Moonraker, has died a few days before his 75th birthday. The gargantuan actor was also famous for his role in Happy Gilmore, and was a regular on the convention circuit. Even though he is turned into something approaching comedy relief in Moonraker, he was a genuinely menacing presence in The Spy Who Loved Me, and was an actor who used his imposing physicality to great effect. He will be sadly missed. 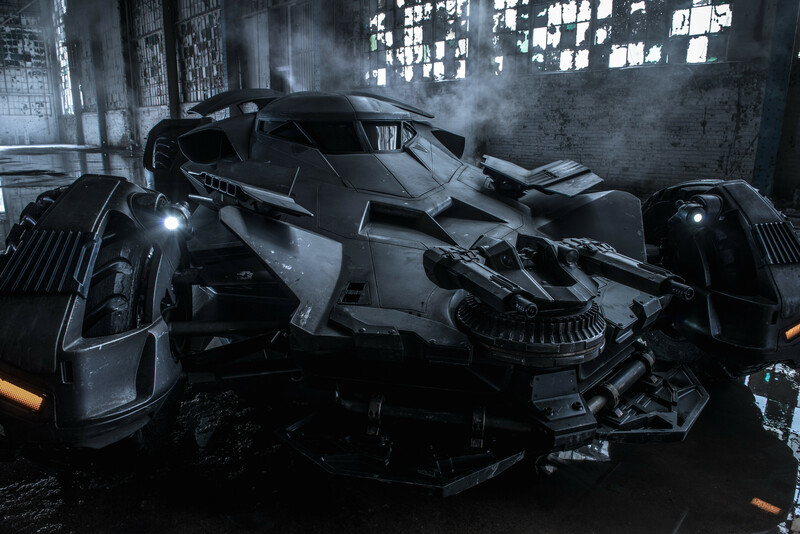 Zack Snyder revealed the new Batmobile in full this week. It’s a slightly more evolved version of the Tumbler, and Batman purists won’t be pleased to learn it has a small arsenal on the grill. But it’s a Snyder film – wanton destruction is guaranteed. The issue of not being able to see a dammed thing out of that windscreen remained unaddressed at the time of publication. Somewhat less staged was the reveal of an X-wing fighter and a partially-built Millennium Falcon on the set of Star Wars Episode VII by a flight school in Berkshire. Owen will be particularly excited to hear that there is a possible second Dredd film on the way – but it will be a prequel. Speaking at Chicago Comic-Con, Dredd himself (or Karl Urban, as is his civilian name) said: “Why yes, there is a definite possibility. But, it is more likely that we will do the origins story with Dredd trekking through the cursed earth to find the first Chief Judge Fargo.” Sounds exciting, and let’s face it, it will be a refreshing change from the endless conveyor belt of sequels we are currently being subjected to. It’s also really good to hear we are getting a second Dredd film at all, as the excellent reboot scored a respectable but not groundbreaking box-office total of $41m worldwide. And finally, disciples gathered in Toronto to celebrate the inaugural Bill Murray Day on September 6 (personally I feel every day should be Bill Murray Day, but there you go). The great man held court on the subject of the recently-mooted all-female Ghostbusters 3, and gave the project his blessing. Also in Toronto, there have been good reviews for Stephen Hawking biopic The Theory of Everything and Nightcrawler, middling reviews for Jon Stewart’s directorial debut Rosewater, and pretty bad reviews for Anna Kendrick musical The Last Five Years. But altogether it seems to have been a decent year for the festival. Join us again next week, where we will return to give us another round up of the latest in film news. Duh, duh,duh, duuuuuhhh, duh, duh duuuuuuuuhhh! Bond is back on the big screens, and to celebrate Failed Critics recorded a podcast devoted to all things Bond, James Bond. To discuss the latest outing of 007: Licence to Kill we gathered Steve (Licence to Thrill), Owen (Licence to Ill), James (Licence to Grill), and Gerry (Licence to Pop Down t’Mill – because he’s a northerner). 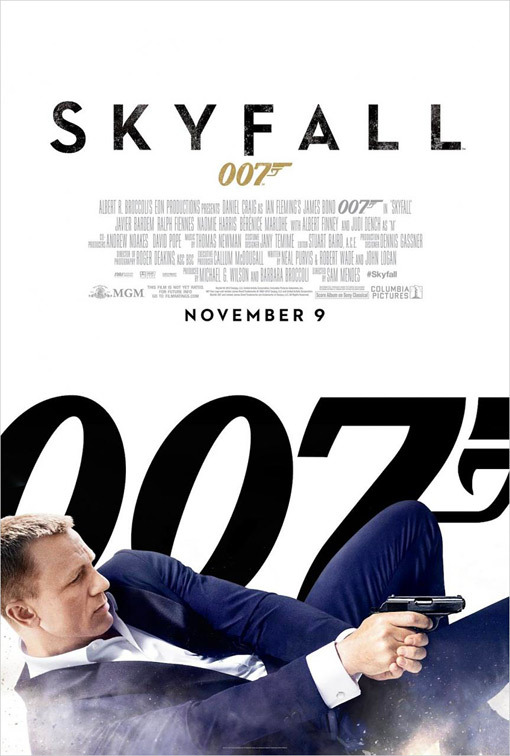 We also discuss some classic (and not-so-classic) Bond films, and attempt the most shamefully embarrassing Pop Quiz of all time. Join us later in the week for the second of our Bond Specials as we discuss our favourite non-Bond performances from Connery, Moore, Lazenby, and Craig.